Go out on a ledge and experience Chicago's biggest thrill and sights. Home to over 300,000 works of art from across the centuries & around the world. Do you dare to TILT? Go behind-the-headlines of Chicago's infamous mobsters, gangsters, & criminals. Best views of the Windy City. Explosive entertainment. May require poncho. 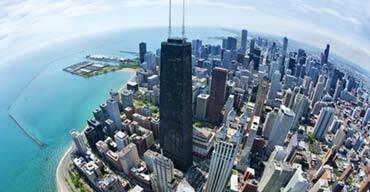 Located on Lake Michigan, Chicago is a favorite vacation destination for not just the Midwest, but for people from all over the globe. It boasts world-class restaurants, amazing architecture, enviable art collections and museums, and plenty of outdoor activities for all ages. In warmer weather, Chicago’s 26 miles of public beaches or Millennium Park beckon. In cooler weather, find respite in favorite spots like Shedd Aquarium, Art Institute of Chicago, or the Museum of Science and Industry. Tripster Chicago coming soon! Just some of the great deals we offer. Everywhere you look there’s an architectural treasure in Chicago. See buildings designed by Frank Lloyd Wright, take in the Gothic-style Tribune Tower, or even take a tour that explores many of Chicago’s landmarks. 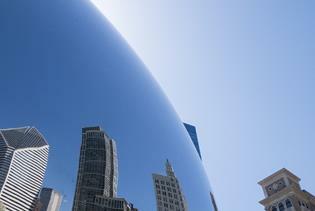 For a 360-degree view of four different states, head up to 360 Chicago. 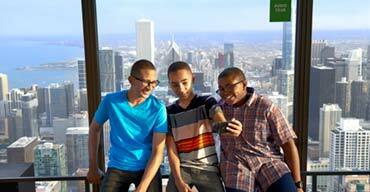 Or if you’re feeling adventurous, step out onto The Ledge at Skydeck Chicago. 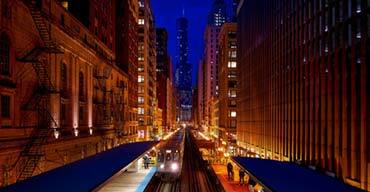 The Magnificent Mile is just that – a 13-block stretch of North Michigan Avenue that is most magnificent. Get your shopping fix at the many stores along Michigan Avenue – from boutiques to malls. Feeling hungry? Find everything from hot dogs to haute cuisine. Just east of Michigan Avenue you’ll find Navy Pier, a Chicago landmark filled with shops, dining, and attractions. The Magnificent Mile offers tons of hotel choices so you can stay within walking distance of some of the best sights and attractions in Chicago. You’ll never know you’re not in New York as you hit Chicago’s Downtown Theater District during show time. See Broadway productions at the many historic Chicago theaters like the Oriental Theatre or the Cadillac Palace Theatre. 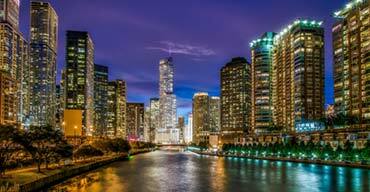 Cap off a perfect day sightseeing in Chicago by attending an exciting Broadway show in Chicago. 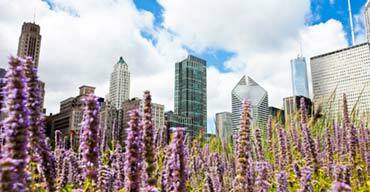 And there are always free things to do in Chicago as well, so let’s pack and go!